As did many of us, I grew up with an image of God straight out of Renaissance paintings: an old white man on a cloud. That one has long since stopped feeling like God to me, and now I make a habit of looking for moments that feel like God. 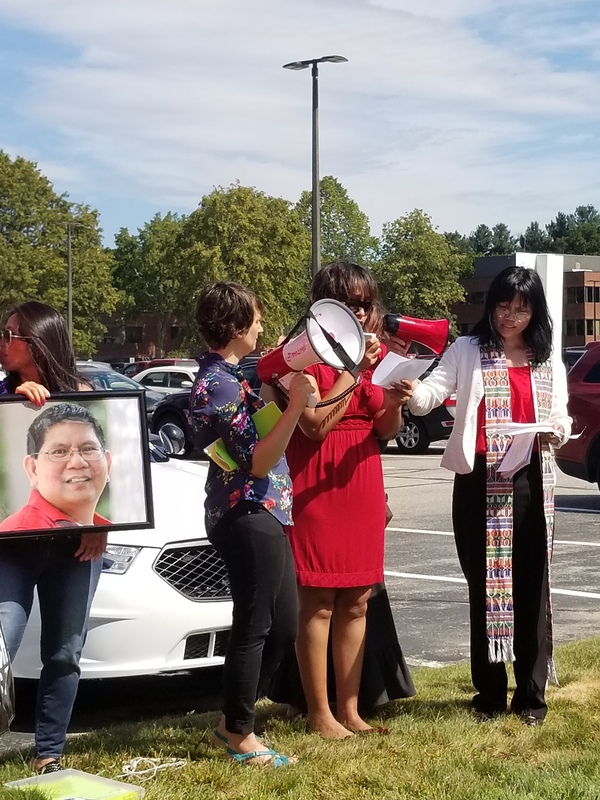 This week, God looked like an Indonesian community, of which many members are facing deportation, rallying outside an ICE office. God looked like immigrants of color, walking nervously past white security guards. Liberation theology holds that we, who hold privileged places in our culture, cannot know the fullness of God because we have not been oppressed. God’s experience of humanity in Jesus is of one whose own experience of oppression – a poor person in an occupied land, constantly speaking truth to power – is one that brought out empathy with those in similar situations. God’s experience of humanity calls us to a very specific response to oppression: to embody it. To accept it, with all the pain and heartache and messiness that it will entail. By this, I do not mean showing up to rallies and going home feeling good about ourselves. Our call as Christians is to be one body with God’s creation, not to hold ourselves as separate one from another. A part of the body is hurting, so we are all in need of healing. A part is oppressed, so we are none of us free. And we need to feel this in our bodies, as surely as we feel our individual hurts, if we want to truly know the God who loved us enough to embody our oppression, the God who modeled for us the depth of love that will liberate us all. This is not the image of God that I was taught. This is not the image of God that many of us still have; the image that looks more like Caesar, or Joe Arpaio’s grandiose disdain for any checks on his quest for omnipotence. The liberating, oppressed God stands in direct contrast to the one whose fear drives him to the tiki torches of violent scapegoating and exclusionary hatred. This is not the image of God that I was taught; it is the one I discovered in the incarnate Christ. I know what it is to be paid less than my male colleagues, to not have my ideas taken as seriously. I know what it is to be told my clothes are distracting to the men around me. I know what it is like to hold hands with my partner in public, fearing harassment. I know what it is to fight for the right to be listed on my son’s birth certificate as his mother. I know these oppressions. I do not know in my very core what it is like to be a person of color in this nation; what it is like to be walking in for an ICE check-in, wondering if I’ll walk out in handcuffs. I know that your bodies need to ache with the pain of my stories as a queer woman. I know that I need to listen without judgment until mine aches with the stories of those whose oppressions I do not share. I know that this is how God is revealed, how the Body of Christ is knit together. In our willingness to take within ourselves the pain of other children of God, to center their voices and experiences in our hearts, we discover the fullness of God’s love: the love that gives itself willingly to the liberation of oppressed bodies, the love that is stronger than death. The image of God is in Charlottesville and Boston, San Francisco and Washington DC. The image of God is on rooftops in Houston because it heard there were immigration checkpoints on evacuation routes. The image of God is still in Standing Rock and Flint, reminding us that water is life. The image of God is in New Hampshire, among Indonesian Christians seeking to remain the in the communities that have been theirs for over a decade. The image of God is the image of oppression; of those who need us to be the Body of Christ, prepared for the work of liberation. Rev. 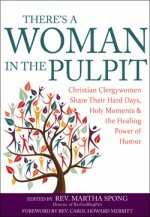 Eliza Buchakjian-Tweedy is Senior Pastor of First Church Congregational, UCC, in Rochester, NH. 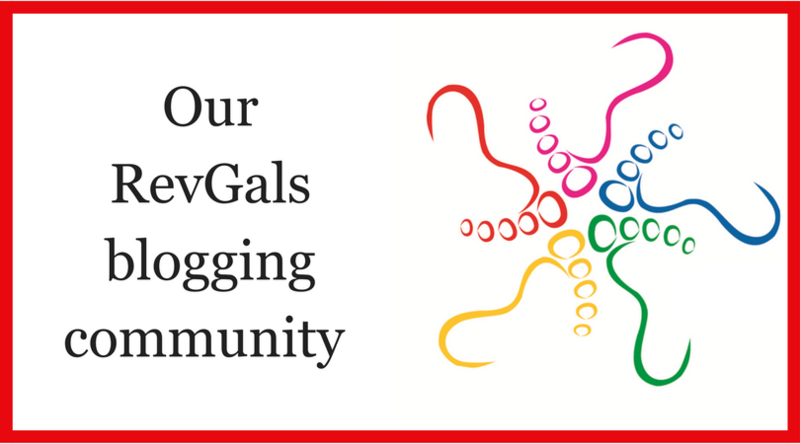 She blogs at sermonizing.wordpress.com . Thank you, Eliza, for lifting up the hopes of so many of my truly American friends who are of Indonesian heritage and under notice of deportation, for weaving in words the seamless cloth of so many oppressions, and for naming again and again an embodied God. Thank you for broadening the sight, understanding and “image” of God for a white male clergy person like me.